The old-timers never forgot the winter of 1917. At night the rivers froze like Colonial times, and during the day the frosty air held up a brilliant blue sky. Brutal cold would not interfere with a gala evening, however. On February 5 at 9 o’clock, the carriages started rolling up to the sumptuous Manhattan restaurant, Sherry’s. It was time for Father Knickerbocker’s Ball, with a special treat in store for the guests who alighted. It all went back to the administration of President Washington. After his inauguration in New York City, he and Martha moved to Philadelphia. There she gave a series of receptions, entertaining fashionable women in a manner that some thought too regal, even anti-Republican. But the chosen who attended never got over it. One hundred and twenty-eight years later, the descendants of those ladies weren’t over it, either. 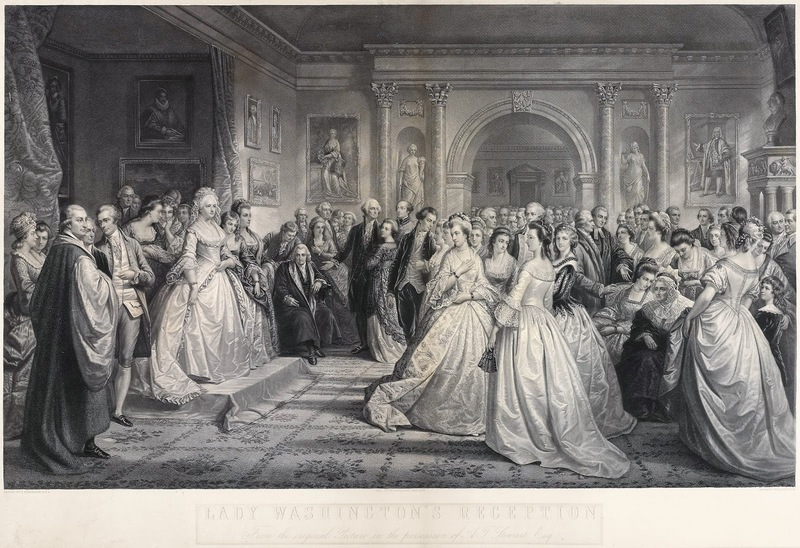 For this reason, in honor of Father Knickerbocker’s Ball, they decided to dress up in period costume and recreate one of Mrs. Washington’s receptions. Their purpose was one that their ancestors never could have imagined: to raise money for an organization that had been aiding immigrants since 1896 – the City History Club of New York. Starting with the arrival of the Irish and Germans well before the Civil War, charitable, religious, and social service organizations had supported immigrants at home and at work, largely with the goal of assimilation. Toward the turn of the twentieth century, as millions continued to arrive at American shores, progressivism began to influence the thinking of leading New Yorkers. 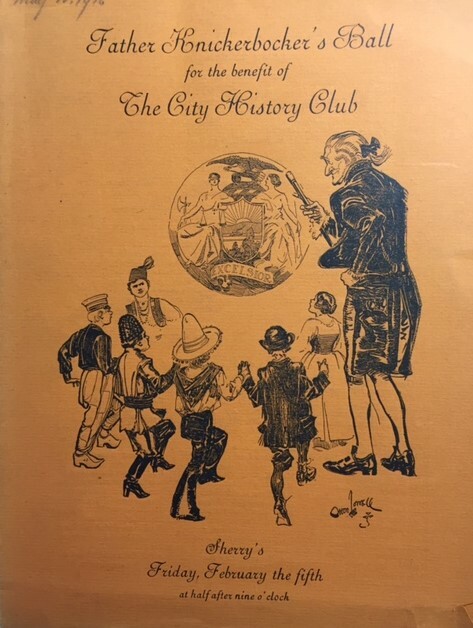 The City History Club, founded by a group of patricians, newly minted millionaires, and the descendants of colonists, embraced the ideals of the progressive movement. A surgeon named Robert Abbe initiated the idea. His ancestors emigrated from England during the seventeenth century, bequeathing to him an impeccable pedigree. Abbe’s father, a philanthropist and businessman deeply committed to the Baptist Church, and his mother, the daughter of the founder of the Colgate Soap Company, encouraged their son to become a physician. Dr. Abbe’s work in radiology and plastic surgery was pioneering. He visited Pierre and Marie Curie in Paris in 1904, and subsequently introduced radiation therapy to the U. S.
He told friends that the club was for his wife, really. Catherine Abbe loved learning about the history of the city. 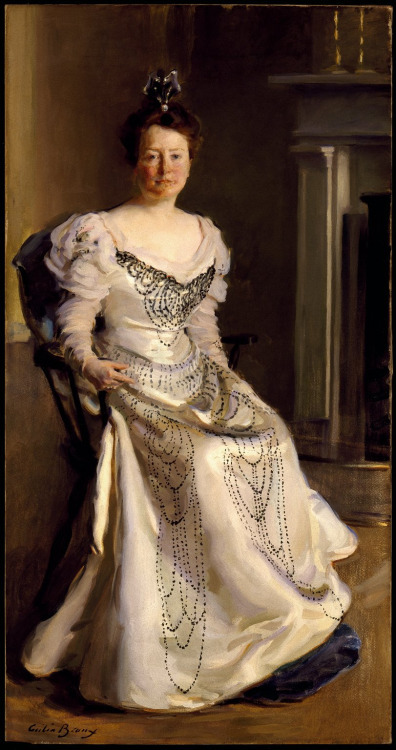 A fierce suffragist, she happily participated in the D.A.R., Colonial Dames of America, and other exclusive organizations which had been around for decades. But this organization would be different. 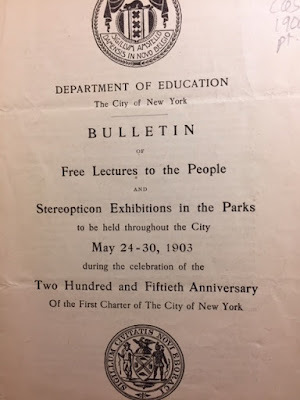 While Abbe and his colleagues stated that “the club exists for Americanization,” they enunciated a deeper idea, that reflexive patriotism is meaningless. Informed citizenship is a product of historical understanding. And that can only come through education and exploration. 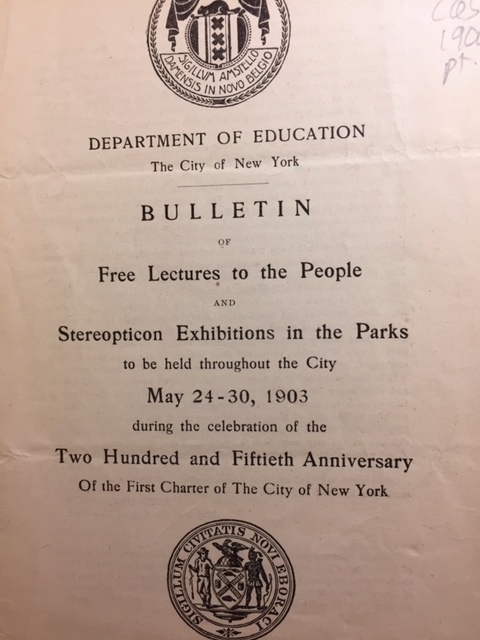 The City History Club planned to use the city of New York as a laboratory to help immigrants reach that understanding. The city becomes more than a mere collection of buildings, a despised place in which one must live, but for which there is no admiration, no love, no regard. Instead it becomes a living organism with an interesting and honored past . . .
See also February 7, 2018 post. I was sure that was a Sargent. I would love for you to put Cecilia Beaux on your list of future blog topics.